Jan Smith explores her journey from postdoctoral researcher to professional training in health psychology with NHS Greater Glasgow and Clyde. My mixed white British and Indo-Caribbean ethnicity, and being the eldest and only girl among four siblings, enhanced my sensitivity to diverse attitudes and behaviours. Physical issues such as myopia and a dislocated knee took me into the world of those who see the world differently, or who have to navigate a world generally not designed with them in mind. My love of astronomy enhanced awareness of what lies beneath the surfaces of planets, just as psychologists explore hidden layers to thoughts, emotions and behaviour. So it was perhaps no surprise that after getting my GCSEs, I aspired to explore my interests in the mind and human behaviours by completing A-levels in the biological sciences, social science and humanities. Through a highly supportive psychology teacher, I became increasingly interested in studying the subject at university. I secured a place on a British Psychological Society accredited BSc (Hons) Psychology with Clinical Psychology at the University of Kent. Undergraduate supervision from a Professor of Health Psychology reinforced my interests in a career as a practitioner psychologist. I began the first stage of my health psychology training by completing a BPS-accredited MSc in Health Psychology at the University of Westminster, selected primarily because the evening part-time course also allowed me to undertake assistant psychologist and research assistant roles in two NHS mental health services. Co-facilitating recovery groups with clinical psychologists gave me some idea of the multifaceted and multidisciplinary work undertaken by psychologists. Towards the latter half of my MSc I developed increasing interests in research. Having obtained the required Merit in my MSc to progress onto the final Stage 2 qualification, I applied for and completed an ESRC-accredited MSc in Research Methods in Psychology at University College London. Shortly after I got an ESRC CASE PhD in Community Care scholarship with the University of Kent and Care Quality Commission. Interests in diversity led me to complete a PhD thesis exploring cultural diversity sensitivity in care homes, service quality and quality-of-life outcomes encountered by minority ethnic adults with learning disabilities and minority ethnic older people. During the extension year of my PhD, I worked as a Research Assistant/Associate in Health Psychology at the BPS Centre for Outcomes Research and Effectiveness at UCL. Following extensive research roles, I conducted supportive and therapeutic roles alongside a distance learning postgraduate certificate in clinical applications in psychology at Newman University College. 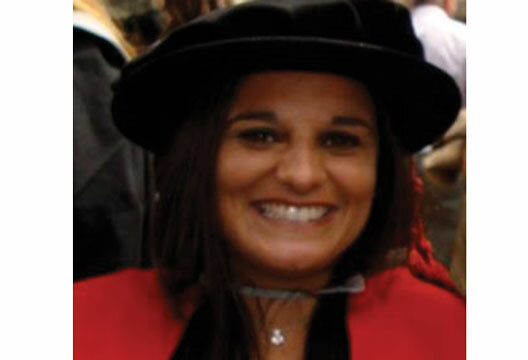 After obtaining my PhD, I worked as a research fellow specialising in dementia, and also as a research assistant, interviewing clients for service evaluation of NHS primary care mental health recovery roles. I combined these roles with volunteering to support a health psychologist at a Diabetes Psychology Service, and working as a visiting lecturer. Alongside all this experience and study, I still desperately wanted to complete Stage 2 training. However, I was increasingly disillusioned and discouraged by expensive doctoral fees and difficulties finding appropriate placements. I later discovered the NHS Stage 2 trainee health psychologist programme, in which, Health Psychologists in Training (HPiT) are jointly funded by NES and NHS Health Boards in order to complete BPS Stage 2 training requirements while assisting NHS Boards to meet identified local and national health improvement targets. Last year, I successfully obtained a HPiT post with NHS Greater Glasgow and Clyde, incorporating work on smoking cessation in mental health inpatient settings and alcohol brief interventions in priority settings. My journey has incorporated rewarding and multifaceted roles. I’ve developed interventions, conducted research, and taught and consulted within a mental health and physical health multimorbidity specialism. One of my proudest moments was obtaining my PhD in Community Care – resilience, perseverance, tenacity, determination and hard work can pay off! The low points include managing uncontrollable and unpredictable events, alongside self-doubt and ‘impostor syndrome’! Furthermore, managing financial demands associated with postgraduate training threw up considerable challenges, which perhaps motivates my pursuit of fully funded postgraduate pathways. With increasing postgraduate fees and our times of austerity, I’m hoping more can be done to ensure the psychology profession becomes accessible to people from varied backgrounds, including people from deprived groups. By managing multiple roles, I strive to reframe tricky events into learning prospects to tolerate anxiety and stress. Over the years, using mindfulness, thinking positively, setting boundaries, utilising supervision and socialising with peers has helped to maintain self-care, prevent burnout and cope with numerous low points and challenges. In order to withstand multiple pressures and demands, in my spare time, I intend to continue listening to classical music, performing as a flautist and singer and hiking across hills and coastal paths to develop continued appreciation for nature, fresh air, the environment and the bigger picture. I look forward to working within an increasingly developing and innovative career path and contributing to illuminating unique selling points offered by health psychology.